AppleInsider | Expanded GPU support in Apple’s Mac OS X 10.6.7 hints at future Mac hardware – Carpet Bomberz Inc. It may surprise some PC Fanboys but on a tower based Macintosh Pro, you cannot just throw any old graphics card into that machine install drivers and expect it to work, Oh Noes. It is like this, Apple tests hardware in small quantities that works with its hardware, engineers samples that Apple will sell as configurable items shipped with sales of new machines. You might get a choice of 3 cards in total with a new machine. 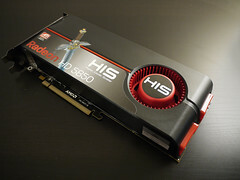 After market pickings are even slimmer, and completely dependent on AMD/ATI who have to purpose build and ship a Mac-only version of a graphics card that might be slightly newer or faster (usually not though) version of a 2-3 generation old PC graphics card. It’s insulting. But hope springs eternal, and I see this news story as a ray of light for the Mac Fanboys. via AppleInsider | Expanded GPU support in Apple’s Mac OS X 10.6.7 hints at future Mac hardware. This is an interesting tidbit of news. A Macintosh hacker has discovered within the most recent update of Mac OS X 10.6 a number of hardware drivers for ATI graphics cards that do not ship and are currently ‘unsupported’ on the Mac. Anyone who has attempted to buy after market, third party OEM graphics cards for Macs know this is treacherous minefield to navigate. The principle problem being Apple absolutely positively does not want people sticking any old graphics card in the Macintosh Pro towers. Or even in old legacy towers going back to the first PowerPC/PCI based Macs. No, you must buy direct from Apple the bona fide supported hardware with drivers they supply. In a pinch you might be able to fake it with a PC graphics card that has had its BIOS flashed to make it appear to be a genuine Apple part. But now if Apple is just bundling up a bunch of drivers for various and sundry graphics cards (albeit from one supplier: ATI), is it possible you could finally buy any card you wanted and it would work? That would be big news indeed for any owner of an end-user upgradeable Macintosh Pro owner and welcome news at that. I’m hoping that this news continues to develop and Apple comes out with a policy or strategy statement heralding a change in past policy towards peripheral manufacturers. More devices being supported would be a great thing.